My wife and I are traveling this summer to see our yet to be born first grandchild. My hope is to create a legacy of stories for this baby girl that will last long after I’m gone. Stories that will stretch back before her birth. Bob, that’s beautiful! Take in all the details of your trip, the sights, sounds, smells, and sensations. I’m sure your grandchild will appreciate reading those stories later, when s/he has an ability to see the world through your eyes. Thanks for commenting! 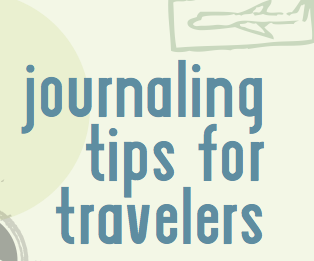 Please Send me your travel journaling tips.